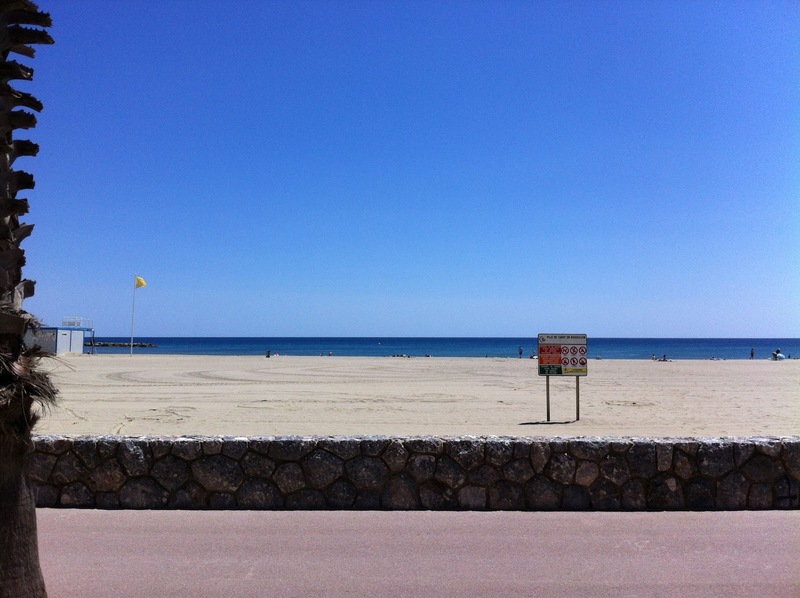 The Cote d'Azur was gorgeous as ever with blue skies, blue seas and golden sand and sun. 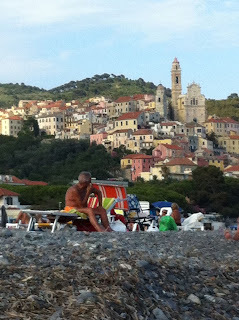 However the coastal motorway run up to Monaco, and then on into Liguria in Italy is an experience not to forget. 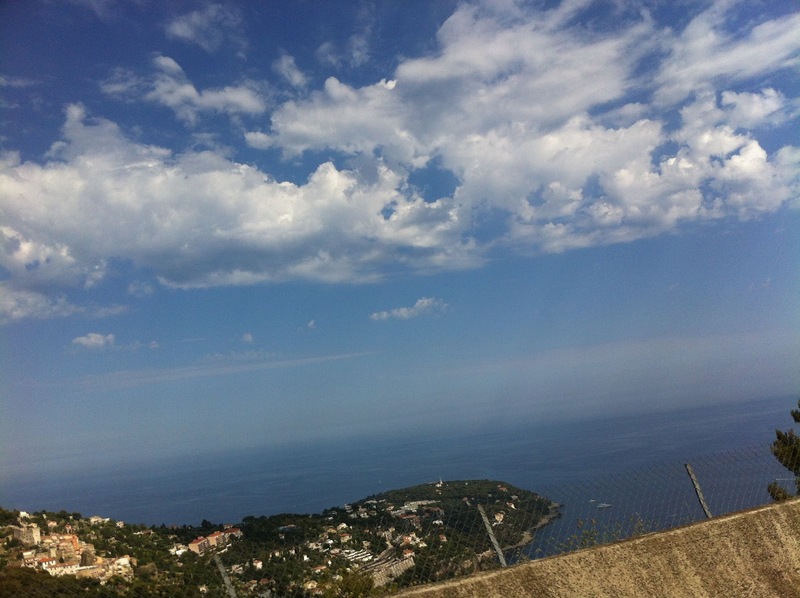 In Monaco, it's easy to see why Grace never made it home after messing up with her car - the roads are perched on the very edges of the cliff and vertical drops without any form of barrier are common place - whilst the views are fantastic and keep drawing your attention away from the road and out across the world of the rich and famous. Crossing the border into Italy is almost like flicking a switch - gone are the modern highrise apartment blocks, grand villas and floating palaces disguised as motorboats. Buildings are all low terracotta, clinging to the edge of a mountain, and clustering around the ever present church which rises above them with square belltowers. Almost every inch of mountain side is covered with steep terraces and green houses, providing the market garden produce this area is so famous for. Whilst some are modern and stainless steel, the majority of the glasshouse frames are shabby wood, with broken panes of glass as often as not, which look like they have been there for ever. The motorway spends 40% of it's time in mid air on a bridge, 40% of its time underground in a tunnel, and the remaining time precariously snaking on the mountain's edge. Whilst it's a two lane motorway, the vagaries of Italian driving and the fact that there wasnt a straight millimetre of road made it one of the most exhausting drives I've had to do. I overnighted in Cervo, a little medieval town near Imperia, before heading on into Italy towards Milan.